A 4-H Charter indicates the 4-H Club or Group is organized in accordance with the objectives of the 4-H program. 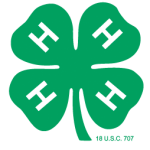 The University of Wisconsin-Madison, Division of Extension grants 4-H Charters which formally authorizes the 4-H Club or Group to use the 4-H Name and Emblem for educational purposes in accordance with laws and regulations established by Congress and the U.S. Department of Agriculture. The purpose of the 4-H Charter is education, communication and accountability. All 4-H Clubs must be chartered, are required to have an EIN number and submit a financial record audit report to the County Extension Office once each year. All 4-H Groups (including committees, boards or other organizations) that hold any financial accounts must be chartered. If a 4-H Group does not hold financial accounts, it must be formally recognized and accountable to the County 4-H Leaders Organization. The 4-H Charter allows the Club or Group to qualify for federal tax exempt status under the University of Wisconsin Board of Regents General Exemption Number (GEN) for Wisconsin 4-H Clubs and Groups. A 4-H Charter is given to a new 4-H Club or Group as they are formed and meeting the requirements of a 4-H Club or Group. The successful completion of the 4-H Charter Application begins this process. 4-H Charters are renewed annually and will be granted upon successful completion of the 4-H Charter Annual Renewal packet. This packet is due to the county-based 4-H staff member by November 1 or an earlier date as determined by the county-based 4-h staff member. Requirements for a 4-H Club and chartered Groups are listed in the Wisconsin 4-H Youth Development Policies. The Wisconsin 4-H Charter Application and Renewal packet provides timely communication between 4-H volunteers, Clubs and Groups and the county-based 4-H staff member. The 4-H Charter Application and Annual Renewal packet provides the documentation of educational activities of the 4-H Club or Group/Committee needed for liability coverage for 4-H volunteers and members, program impact evaluation and educational planning. And finally, the 4-H Charter Application and Annual Renewal packets provide documentation of compliance by 4-H Clubs and Groups with EEO and ADA guidelines, civil rights laws and accountability of handling 4-H money appropriately including IRS rules. The Charter Completion Guide provides volunteers assistance in completing the 4-H Charter Application and Annual Renewal packets, which can be found below. Note that the Charter forms posted below are fillable PDF. You have the option to open the file, fill out the form, save the form and email the document (instructions below) OR you may print the form, write in the information and send it to the county Extension office. The IRS GEN Determination Letter outlines the accountability, responsibilities, and reporting requirements to maintain the Group Exemption Number.